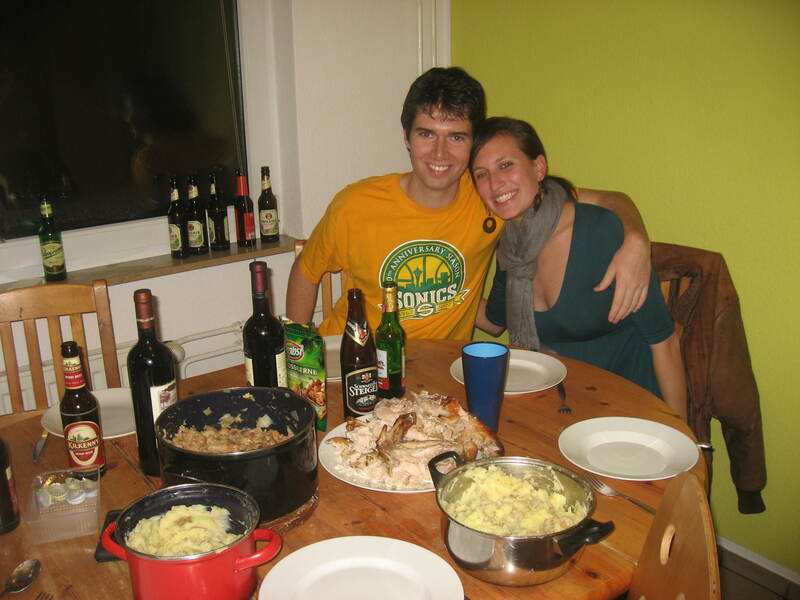 Fulbrighters and our Thanksgiving meal! What may be most impressive is the fact that the group of boys cooked the entire meal! We had a turkey that I think was about 4kg (so 9lbs), mashed potatoes, carrots in brown sugar, cranberry sauce, stuffing, and to top it all off, a pumpkin cheesecake complete with a walnut maple glaze. This whole time, mind you, we two girls sat at the table, chatted and drank wine- a welcome change of pace! The meal turned out really well; everything tasted wonderful. We even all ended up going around the table and saying what we were thankful for- it started off as half-joking but we all had a lot to appreciate- that much was clear by the end. It’s actually the second largest city in Germany with about 2 million people. (Berlin is first with I think 3 mil and Munich comes in 3rd with a little over 1 mil). Hamburg is a huge shipping port and there was no shortage of boats/barges/cruise ships out on the water. Due to its proximity to a major body of water, seafood is abundant. That translated to fish sandwiches for breakfast, something I wasn’t totally on board with at first but ended up being pretty good (I still prefer the southern German breakfast of bread and butter/jam/nutella/cheese/meat). So we walked around the harbor for a while and then took a ferry ride so I could see a little bit more of the city. Stopped in St. Michael’s Church (because every good self-respecting German city has at least one must-see church), walked through town some more before finally ending up at the Weihnachtsmarkt (Christmas market). Almost every German city has a Weihnachtsmarkt, with the one in Nuremburg being the largest and most famous. They tend to open the weekend before the first Sunday of advent and stay open until the 23rd or Christmas Eve. The stalls at the Weihnachtsmarkt sell anything from socks to cooking utensils to the more traditional ornaments and candles. 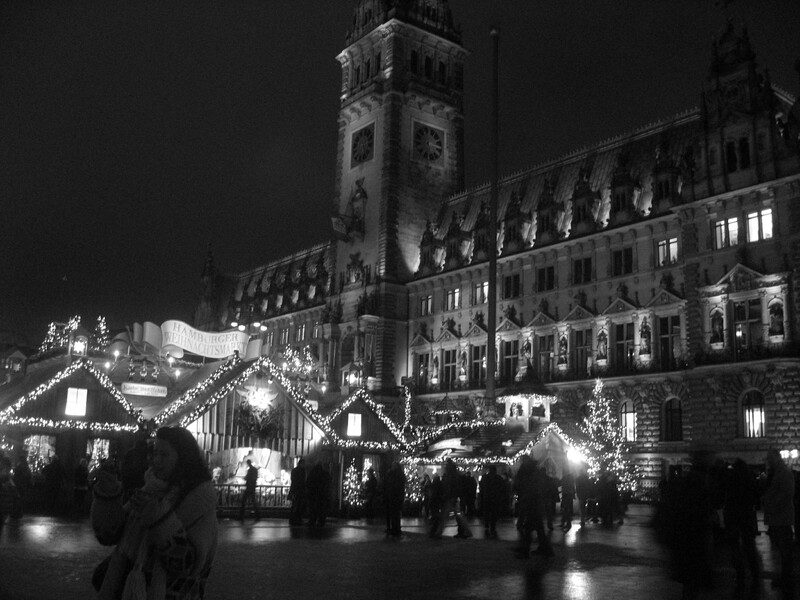 We spent a good amount of time just walking around, taking everything in before warming up with some Glühwein. There really is no American equivalent for Glühwein, though the Brits call it “mulled wine”. It’s basically warm wine with spices. This was the first Weihnachtsmarkt where I saw white wine Glühwein (though it turns out they also have it here in Würzburg). You have to pay a 2.50 Euro deposit for your mug, but that’s because each city, or sometimes even stall, has unique mugs which they use to serve the Glühwein in. (obviously I thought 2.50 was a good price for the mug and took mine with me). We spent the rest of the afternoon in the same manner (Glühwein, walking around Hamburg, back to the Weihnachtsmarkt) before going out that night with other American, French, and Spanish Fulbrighters. That was one thing I was really jealous about, that there’s such a contingent of Fulbrighters/international students in Hamburg. Then again, it is a much larger city, but still. This week back in Würzburg was actually pretty busy too. It snowed here as well, we had our usual lacrosse practices three times this week (two of which are outside. yes in the snow and negative-celsius-degree weather), our Weihnachtsmarkt is open, I signed my subletter-lease for my apartment AND successfully celebrated my 23rd birthday! A group of girls from the lacrosse team joined me in celebrating which included Glühwein, beer, champagne at midnight on the bridge over the Main river, and dancing away until the late hours of the night/early hours of the morning. Very successful overall. und das beste daran ist, dass ich noch nie in hamburg war aber du schon. a bit embarassing for me I´d say. bist du schon in münchen? Originally created as a way to update family and friends while I studied abroad in the Spring of 2009, I brought the blog back for more updates for my Fulbright year (2010-2011)- back in Germany! I stayed over here after the academic year came to an end, and am now coaching lacrosse, waitressing, and teaching English. 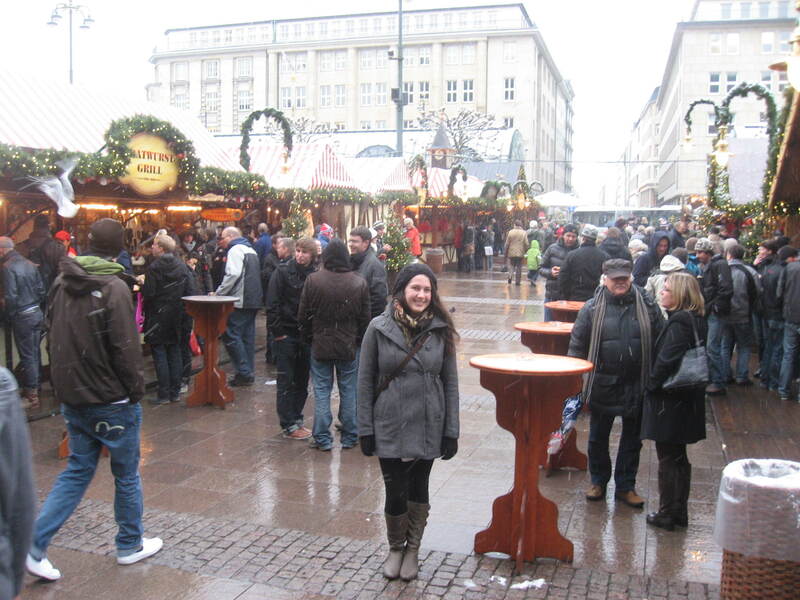 Enjoy commiserating, laughing, and exploring (unter anderem) life in Germany with me….